Furnace that can be placed on a freehold. 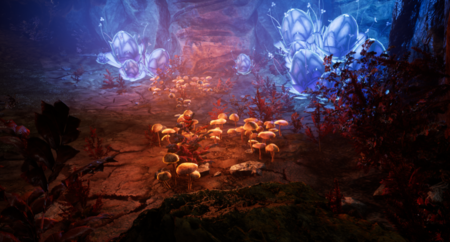 Processing is one of the artisan classes in Ashes of Creation. 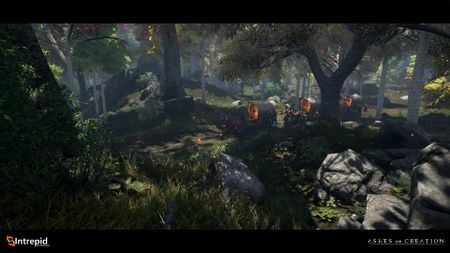 Buildings can be placed on a freehold to process resources. Gatherable mushrooms found in an underground cave. Gatherable resources (raw materials) occur in locations where you would expect them to be organically. Resources exist as a cluster and last until the full resource is depleted. Once a resource is depleted from one location it may respawn somewhere else. Some resources may respawn on a cooldown basis. Resources won't be locked to the node system. Resources that can be gathered do not highlight as gatherable. 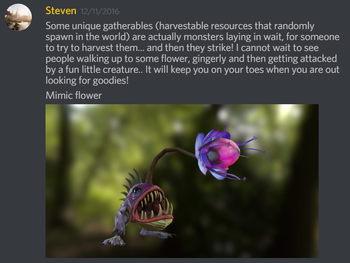 Some unique resources may be monsters in disguise or have monsters defending them. 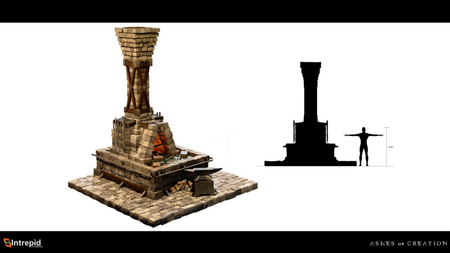 The quality of crafting materials will influence the quality of the crafted item. 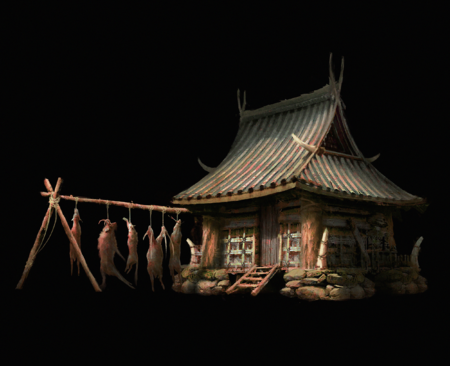 Materials for crafting high-level items are obtained from world bosses and through the deconstruction of other high-level items. 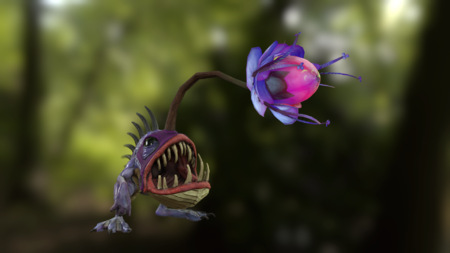 Flanggler (Flower angler or Mimic flower). 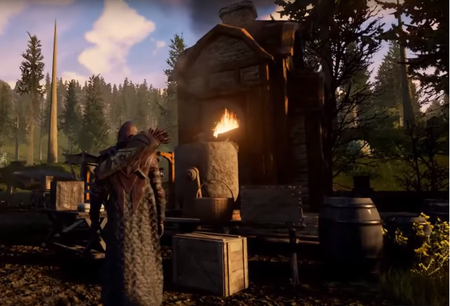 Gathering is one of the artisan classes in Ashes of Creation. What can be gathered is discovered by trial and error and learning their visuals. Gathering within a node's Zone of influence (ZOI) will contribute to its experience growth. 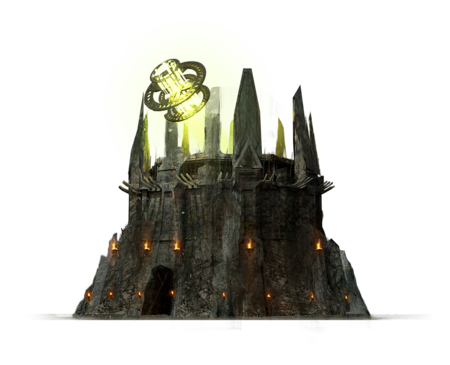 Certain low level gatherables will have a tiered progression into higher level crafting. ↑ 1.0 1.1 1.2 Livestream, 5 May 2017 (34:15). ↑ 2.0 2.1 2.2 2.3 2.4 Livestream, 3 September 2017 (10:48). ↑ 3.0 3.1 3.2 3.3 3.4 Livestream, 8 May 2017 (54:26). ↑ 8.0 8.1 Interview, 20 October 2018 (2:13). ↑ 9.0 9.1 9.2 Livestream, 5 May 2017 (8:22). ↑ Interview, 20 October 2018 (17:31). ↑ Livestream, 17 November 2017 (53:28). ↑ 20.0 20.1 Podcast, 11 May 2018 (1:00:07). ↑ 24.0 24.1 Interview, 20 October 2018 (2:31:39).